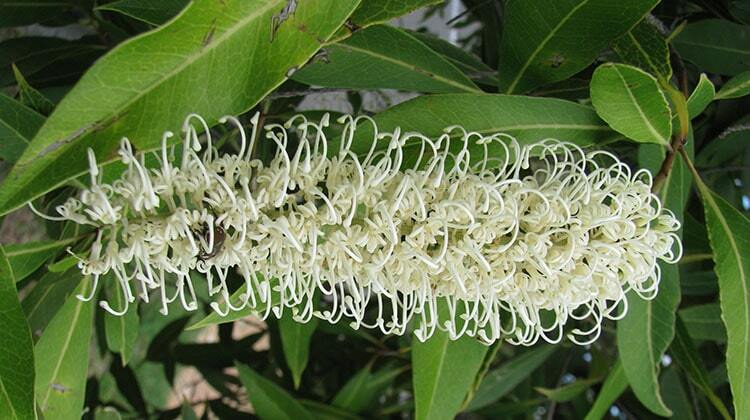 The Ivory Curl is a beautiful feature tree often seen in the backyards and found in undisturbed bushland in its native area. According to the Australian Native Plants Society, the tree is named after Richard Greenville, the Duke of Buckingham. As the tree is common enough in the wild it is not considered to be at risk; proof of its hardiness. 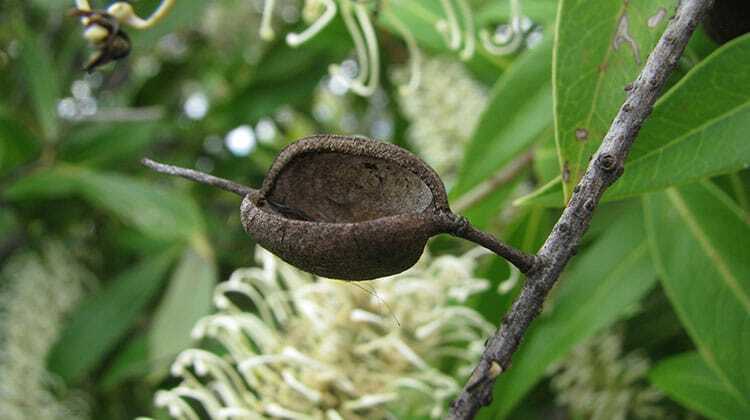 The tree is not really known for its fruit production, but according to Discover NATURE, the Ivory Curl does produce a small brown fruit. The fruit has a winged appearance to it, and it is not meant to be eaten by anyone, including animals. The flowers on the Ivory Curl are possibly the crowning jewel of this tree. The times in which this flower really depends upon the weather, but for the most part this is spring time through early autumn. The flowers cluster together, to the point in which they appear to overtake each branch of the tree. The flowers are white with a yellow tint in color, and they do attract butterflies and bees when flowering. In the wild, the Ivory Curl gets very tall with a bush at the top. Often, the tree is trying to reach the full sun before the leaves and flowers begin. However, in domestic sittings, the tree usually gets 6 or 8 meters high, and can be 2 to 5 meters wide. It does take 3 to 5 years of growth before the tree starts to flower. Tree trimming should be carried out by an arborist as tree loppers will destroy its attractive growth form. 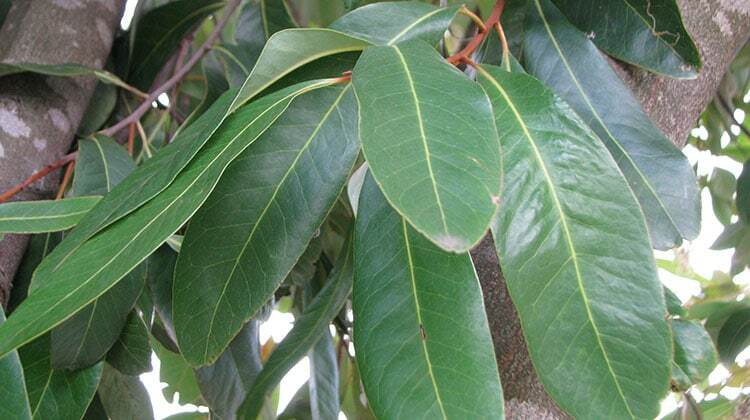 The leaves of the tree are a dark green color, and on the underside, do have a silver tip. During some point of the year, the leaf may have a red tip that can be seen. The size of the leaves vary. 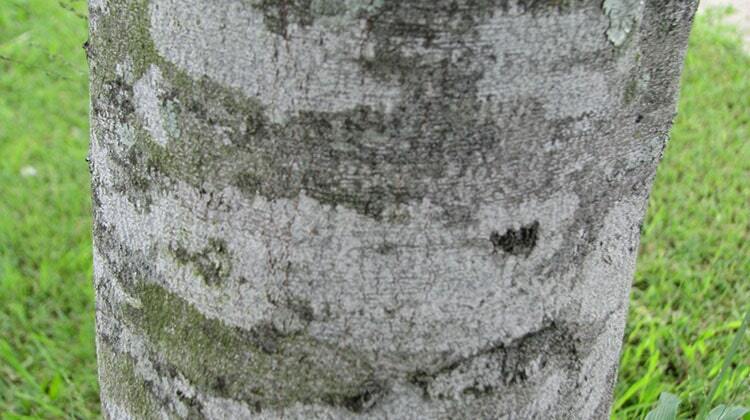 The trunk of the tree is relatively skinny and is a gray/brown color. Branches spread from the trunk in a fashion that creates the rounded top of the tree that is seen. In order to grow the Ivory Curl, the person must have seeds or cuttings available. For faster growth, cuttings often allow the tree to take better in the climate and to grow faster, while seeds often mean taking a chance on the tree surviving, and do mean a slower growth rate. 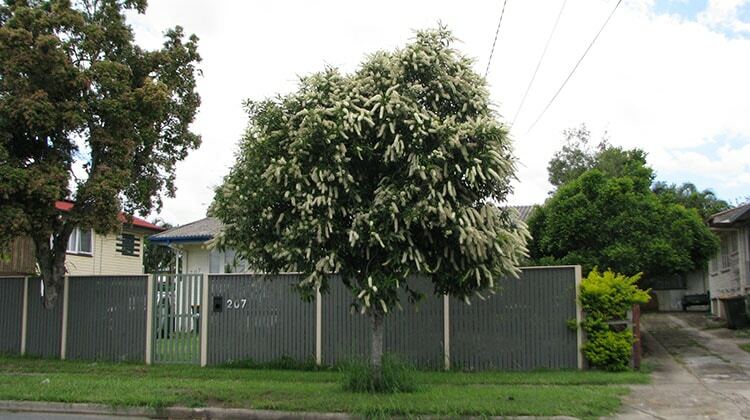 The Ivory Curl is considered a great tree for adding a bit of color and beauty to a yard. And in many places throughout Australia, this tree is used along sidewalks and in shopping centers to add beauty. The Ivory Curl prefers dry and warmer climates. It performs well when placed in mulched soil with adequate water availability, and also full sun. Once the tree is established, it is considered drought resistant, and does not need as much water as when it was being established. The tree does not have to be pruned unless a person wants to do this in order to get a better shape of the tree. Live in Toowoomba and want to know the best time to sow seeds from this tree in a mini greenhouse using Jiffy Pellets please. Hi Julia. They are from Qld’s tropical north so I don’t think they’d be well-suited to Toowoomba. Still, if you are just propagating them there I’d do it in summer. As delighful as these trees are when in full flower, they can be a problem. Depending on what soil type you intend to plant them, they can grow upwards of 20 metres. And, once mature, the black seed pods not only litter all around, but a black dust accompanies the fall and stains wet washing. Also, the fine parts of the flowering florets clog up swimming pool filters. Many a Brisbanite has had to call out the ‘pool repairer’ to unclog the internal filter &/or replace the pool pump. These trees are suited to street planting only: garden never, unless you have a large block. I have one overhanging my patio, planted obviously years ago…it’s an annual pest! I am in Brisbane and looking to use Ivory Curl and Golden Penda (I love them both and could not decide on just one to use), planted alternately, to create a privacy screen. I would ideally like them to be like a large flowering hedge and reach a final height of about 4 to 5 metres. I’m trying to work out how much of a space to leave between them so that they ‘hedge’ but that they are not too restricted by each other. They will be grown from advanced tube stock (their about 50cm tall currently) so should have plenty of time to get used to the presence of each other as they grow. Can you offer any advice on the spacing I should use? I have planted a couple of these trees on the footpath at Bongaree Bribie Island – they’re about 15 months old now, One has lovely glossy green leaves. The other, planted just 6 – 7 metres away, has leaves that are more yellowed in appearance (though still glossy). Can you tell me what I can do to improve the look of the second one? I give them both water as needed and they are well mulched. Hi Elaine. The first thing I suspect when I see yellow leaves is a lack of nitrogen. It’s the single most important element plants take up from the mineral part of soil. It is a transportable nutrient, so you’ll see yellowing of older leaves as the tree moves the nitrogen to the new leaves. It can be safely remedied by generous application of a slow release fertiliser watered in to the soil..
could you answer the question below about the leaf problem I am having? I am having Elaine’s problem…very yellowed leaves on one of my Ivory Curls. A slow release fertilizers you say…any type as I have been loath to use anything except Dynamic Lifter because it is a native? Hi there …I have a beautiful Ivory Curl tree that I planted earlier this year here in Bowen Nth Qld and in recent months, the leave’s have become quite light in cloud an a number of the leaves are looking like they have gotten sunburnt, appearing in the most part from the tip of the leaf to 2/3rd’s up the leaf. The weather here in this part of Aus has been very hot and virtually no rain but my wife has watered the plant every 2nd day, sometimes in the morning and in the evenings….desperate to know what might be causing this problem and how nest to address. Many thanks for reading this and if possible advising on what to do. A quite magic tree thanks to its fantastic blossoms! But how to get it from seeds? Any hints on the quality of seeds, substrate type, germination temperature, duration..? I have two Buckinghamia Celsissima in my yard (north Sydney locality) both suffer from leaf damage. the leaf separates forming a wax paper like film over the leave, eventually turning black. I’ve tried spraying with NEEM and then White Oil, no change. I have two Ivory Curl Trees only about one year old,they are about a metre tall looking healthy and a good amount of new leaves but the problem is that the older leaves are looking burnt and some of the new leaves are turning black.Could you help with some advice I wouldn’t like to loose them.Thanks.